Independent Socialist US Senator Bernie Sanders of Vermont has been wowing crowds across the country. 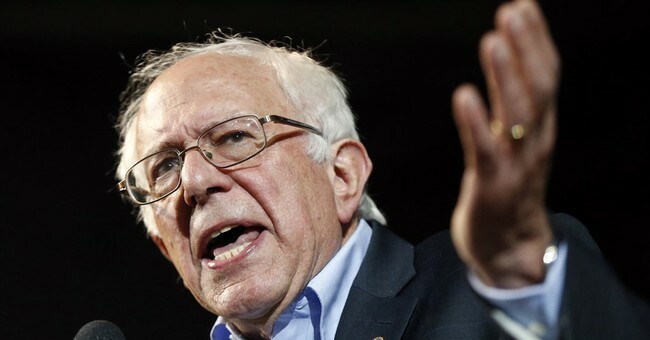 From his announcements for a presidential bid, to larger than expected initial crowds, Sanders is raking in the dough, from small donors and a budding media presence, Sanders is soaring in the polls, troubling Inevitable Hillary’s chances for the Election 2016 Presidential nomination. Now he’s hitting the international media spotlight, and the lurid peering of the press has followed. The UK Daily Mail delved into his private life, and discovered that if elected, he would be the second divorced President in the country’s history. He fathered his first child out of wedlock, too. The Daily Kos acknowledges the minority issues facing the old, white New Englander, but he is making the rounds in Wisconsin (where he bolstered Big Labor and took jabs at Governor Walker). He impressed progressive groups in Arizona and even Deep South Alabama. Not just attacks from the right, but left-wing partisans have hammered Sanders for his pro-Second Amendment record. Progressives are furious with the New York City native for selling out his independent socialist ideology by joining the corporation-dominated Democratic Party. Hedges: “Because he [Bernie Sanders] did it within the Democratic establishment. . . .He’s lending credibility to a party that is completely corporatized. He has agreed that he will endorse the candidate, which, unless there is some miracle, will probably be Hillary Clinton. So what he does is he takes all of that energy, he raises all of these legitimate issues and he funnels it back into a dead political system. . . Left-wing partisans looking for a standard for their cause already view US Senator Sanders as a corporate sellout. Sanders did not “f[i]ght the Democratic establishment in Vermont his entire career.” As the left University of Vermont philosopher Will Miller noted in a 1999 essay recounting left peace activists’ occupation of then U.S. Congressman Bernie Sanders’ Burlington, Vermont office to protest Sanders’ support of the NATO bombing of Yugoslavia and the ongoing U.S. War on Iraq, Sanders sold out to the corporate and war Democrats as early as 1990. So, Sanders played the two-party system to his advantage, partnering with federal Democratic handlers for endorsements, and in return diminishing viable third-party political movements in the Green Mountain State. What also stands out in the above criticism is that Sanders, seeking the Democratic nomination as a Tea Party of the Left outlier, has a long-standing history of supporting presidential military forays: anathema to aggressive progressives. In late April I was among the 25 Vermonters who occupied Congressman Bernie Sanders’ Burlington office to protest his support of the NATO bombing of Yugoslavia and the ongoing war against Iraq. Calling ourselves the “Instant Antiwar Action Group,” we decided to bring our outrage at Bernie’s escalating hypocrisy directly to his office, an action that resulted in 15 of us being arrested for trespass. Dissident Voices blasted Sanders not just for cozying up with the Democratic Party, but war authorizations throughout his tenure in the House of Representatives. Click on this link for Brecher’s letter of resignation. Under the Bush regime, Sanders’ militarism has only grown worse. While he called for alternative approaches to the war on Afghanistan, he failed to join the sole Democrat, Barbara Lee, to vote against Congress’ resolution that gave George Bush a blank check to launch war on any country he deemed connected to the September 11 attacks. After thousands of people are killed in the World Trade Center and Pentagon, President George Bush and Congress declared war on Afghanistan. Sanders joined the bandwagon and voted to adopt the joint resolution that authorized the President to use the United States Armed Forces against anyone involved with the attacks of September 11th, 2001 and any nation that harbors these individuals. While Sanders voted against the original authorization to use military force against Iraq, he followed that vote with several subsequent votes authorizing funding of that war and the debacle in Afghanistan. Sanders has followed a pattern of voting against initial efforts to expand government resources into the War on Terror, then voted for funding them afterwards. The Democratic Party’s 2016 Presidential bench is a clown-car of political dysphoria. From Hillary Clinton’s early yearning for Republican Barry Goldwater, to Lincoln Chafee’s former GOP US Senator status, and Jim Webb’s service in the Reagan Administration, now left-wing partisans can argue that “Weekend at Bernie” Sanders is right-wing warmonger.